Ride a camel. Sample Hawaiian snapper. Sway to the rhythm of Mexican folkloric dancers. And learn 17 Ways to Find Cheap Flights. These were a few of my discoveries at the 2016 Chicago Travel & Adventure Show. 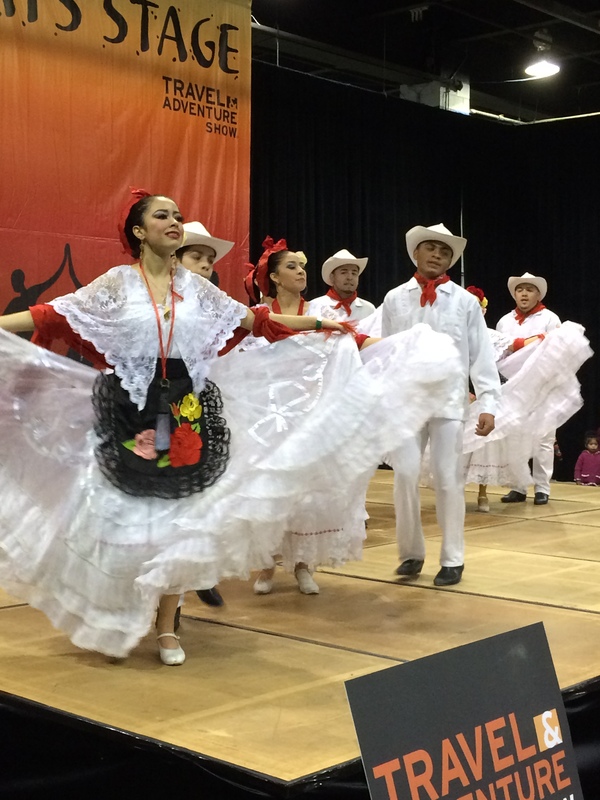 Mexican folkloric dancers twirl and swirl at the Travel & Adventure Show. After collecting two large shopping bags of info (so many places to see!) and having my picture taken against a faux Arizona backdrop (too embarrassing to show you), I sat in on Johnny Jet’s presentation, “How to Travel Like a Rock Star.” Johnny is a world-class traveler and editor-in-chief of JohnnyJet.com, a website you definitely should bookmark. Be flexible about dates. You won’t find deals when everyone wants to travel, like the Wednesday before Thanksgiving and the Sunday after. Be flexible about time. When doing an online flight search, choose “Anytime” rather than a specific time periods. The cheapest seats tend to be early morning or late at night. Look at alternate airports. Flying from Los Angeles to San Francisco, for example, may cost nearly half as much if you land at Oakland Metropolitan Airport versus San Francisco International Airport. Avoid low-cost carriers. The obnoxious add-on fees can eat up any savings. Go Southwest Airlines if you’re checking bags. They’ll still take your first two bags for free. Use several search tools. No one website has the cheapest deals for every airline. Check Google Flights as well as the individual airline sites. Sign up for fare alerts. Kayak, Airfarewatchdog and others offer this service. Buy 2 tickets to Europe. Take a major airline to a major city, and then a regional carrier to your final destination. Hold your fare for free for 24 hours. It’s the law—they have to let you, unless you’re booking less than 7 days in advance. Talk to a human. Airline reps may be able to find a better deal than you can. It will be worth the $25 fee. Consult a travel agent. They may have access to flights you can’t find or you can’t find quickly. Their fee is covered by your savings. Hidden cities. First, Johnny does not recommend the practice of disembarking at a stopover rather than the final destination. Second, you could save a ton of money if you do. Don’t check luggage. Don’t get caught. Sign up for industry newsletters for new offers. Try Airfare Watchdog and The Flight Deal. And Johnny Jet, of course. Tweet. Follow the airlines and industry experts for unadvertised fares. Monitor Flyer Talk message boards for tips and “mistake fares,” which often last a couple of hours or less before they are corrected. 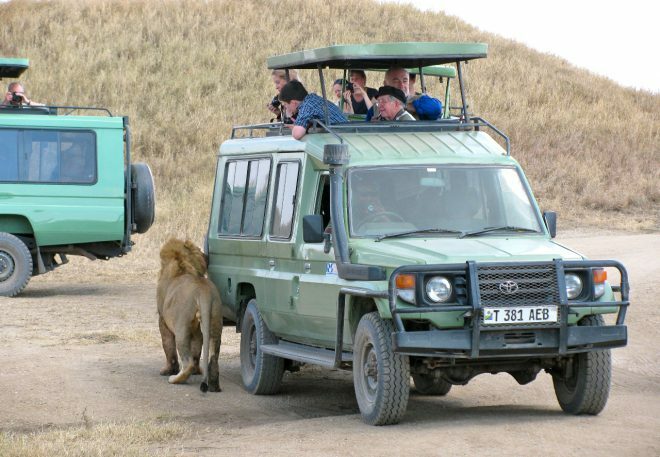 Check www.travelshows.com for an upcoming Travel & Adventure Show in your area. 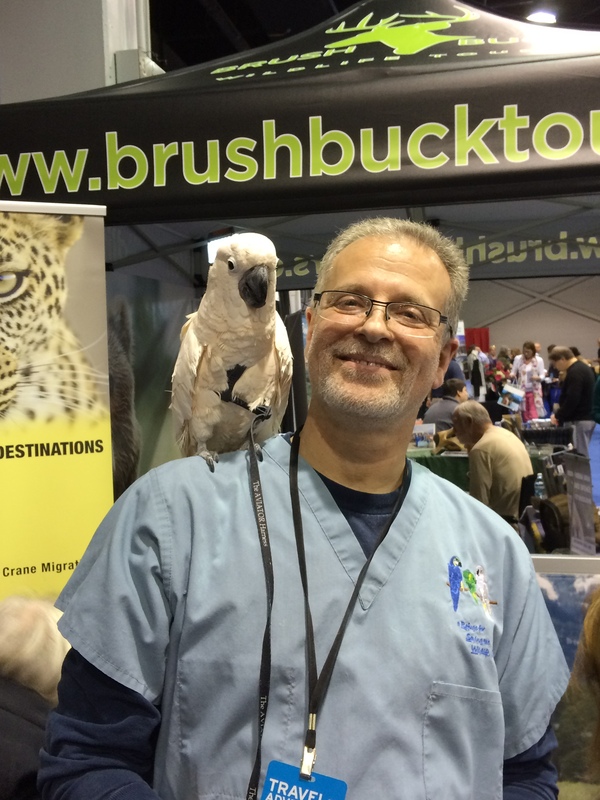 BrushBuck Wildlife Tours brought a friend to the Chicago show. 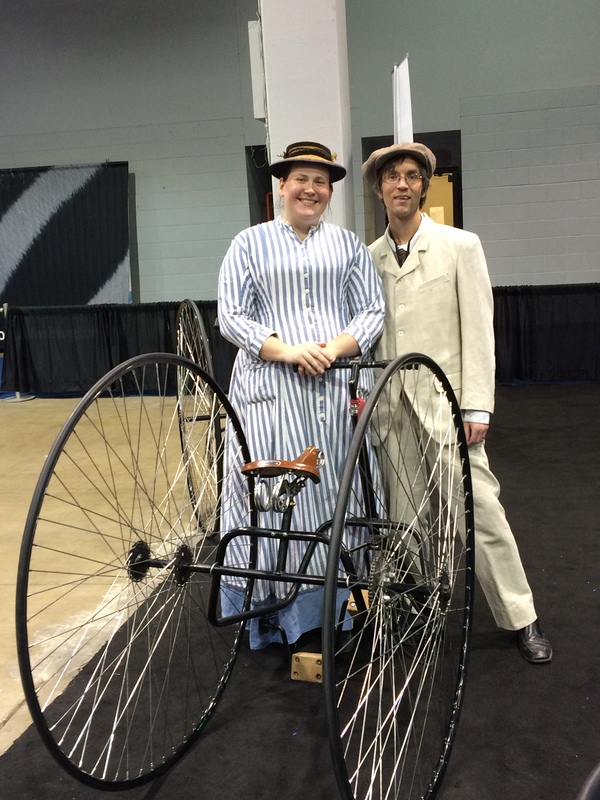 Old World Wisconsin invited attendees to take a spin on an old-timey tricycle. 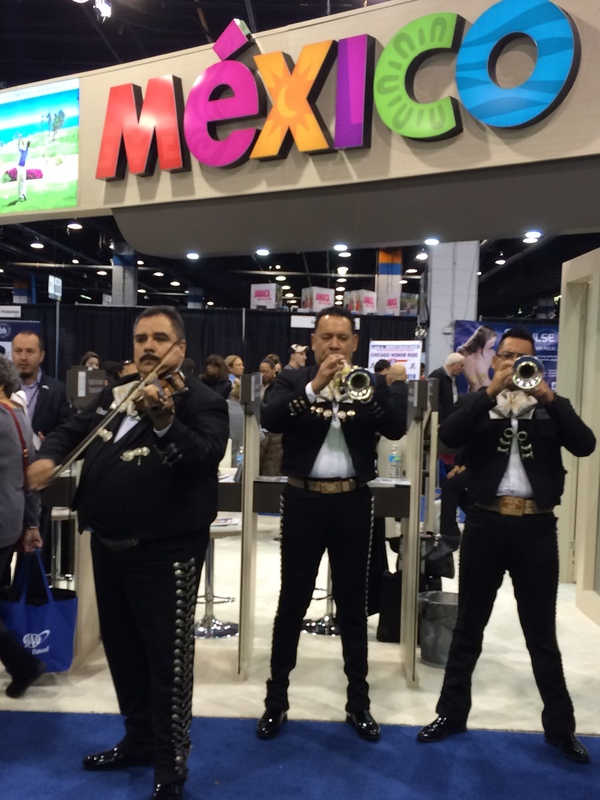 Mariachis at the Chicago Travel & Adventure Show, 2016. This entry was tagged event, travel show. Bookmark the permalink.